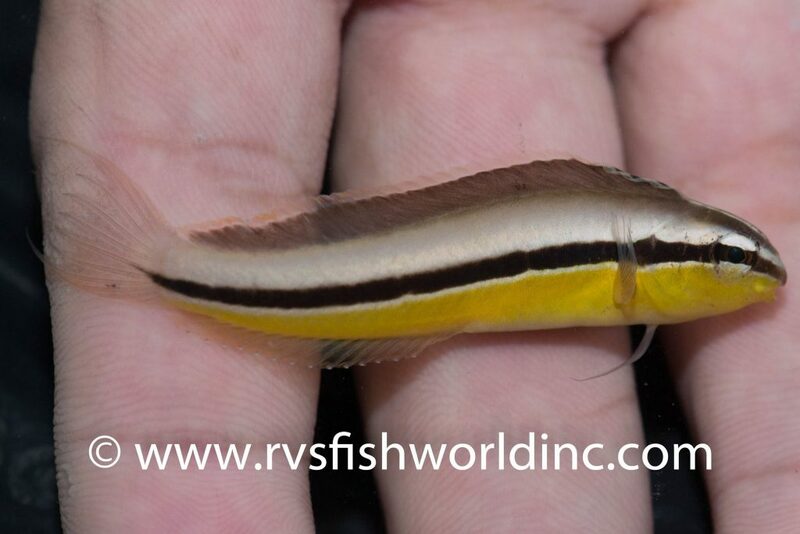 Meiacanthus geminatus, known commonly as the Twin Fangblenny, is an unusual species that’s making a rare appearance thanks to RVS Fishworld. 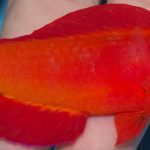 With its sleek lines and attractive color palette, this is sure to become one of the more popular fangblennies among aquarists. 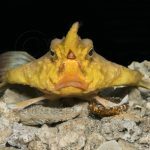 Up until now, few images of this stately fish existed, and it’s possible that this is its first occurrence in the aquarium trade, but, don’t worry, despite its rarity in captivity, this species is said to be quite common in the wild. 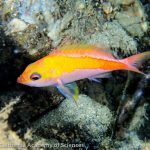 The specimen procured by RVS originated from their new collection station on the remote island of Lubang in the Philippines, found swimming among corals at a depth of just 8 feet. 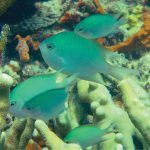 It’s rather curious that such an abundant, shallow-water fish should be so rarely encountered in the aquarium trade, but this may have to do with where this fish occurs in the Coral Triangle. Prior to this find, Meiacanthus geminatus had only been reported from Palawan (which lies southwest of Lubang) and Darvel Bay in Northeastern Borneo. Neither region has any aquarium collection to speak of, so it’s not entirely surprising that this fangblenny would prove to be so elusive. M. geminatusbelongs to a group of similarly patterned species spread across the Western Pacific, and, interestingly, none of these are seen with any regularity and several appear to have never once been collected for aquarists. Given that all of these are found in shallow, sheltered reef habitats, it’s hard to explain their continued rarity. The only member of this group which seems to have been collected previously is the Yellow Fangblenny (M. luteus) from Australia, though you’ll be hard-pressed to find images of this fish anywhere. The Komodo Fangblenny (M. abruptus) is a recently described species which is essentially identical to M. geminatus, except for the presence of a second dark stripe dorsally. It occurs in Bali and Komodo, but it seems to have never been collected. The Sulawesi Fangblenny (M. vicinus) and the Blackstripe Fangblenny (M. vittatus) round out the group. 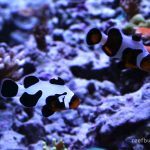 These handsome fishes are black and white copies of the previous species and both are seemingly absent from aquarium exports. Members of this group show some interesting sexual dimorphism, with males developing filamentous extensions to the pelvic fins and the upper and lower rays of the caudal fin. 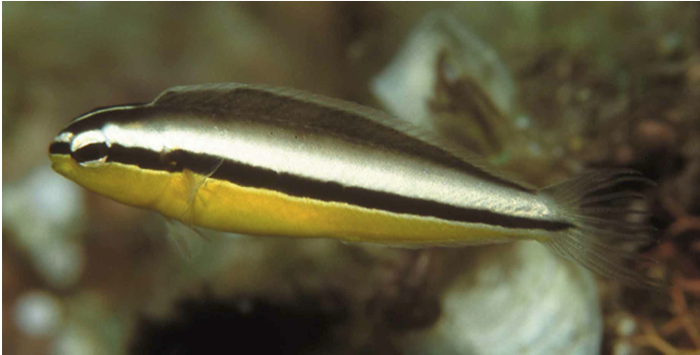 There’s also an interesting mimicry complex centered on the Twin Fangblenny, with juveniles of the Pearly Monocle Bream (Scolopsis margaritifera) and the Yellowbelly Cardinalfish (Cheilodipterus zonatus) each showing a nearly identical appearance to the blenny model. 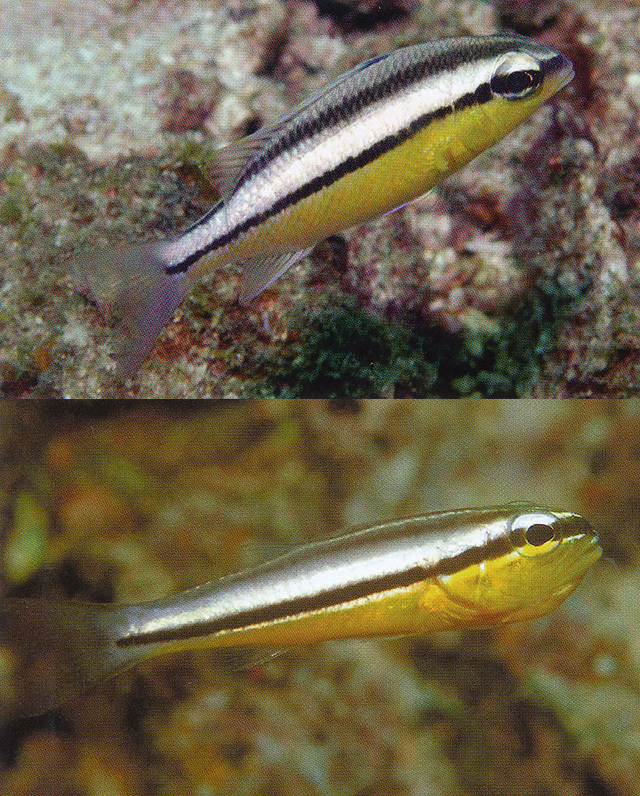 Interestingly, the coloration of these mimics changes across the West Pacific based on which fangblenny is sympatric. With so much to recommend it, hopefully we’ll soon see Meiacanthus geminatus captively bred and made widely available.